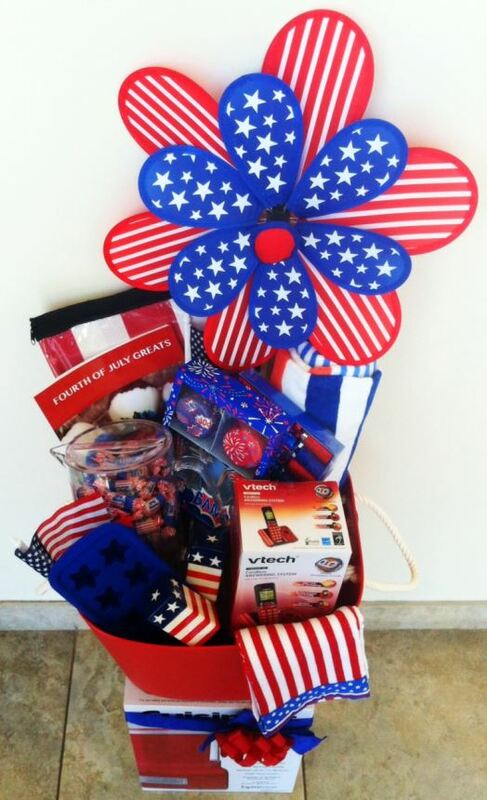 Celebrate 4th of July with a HUGE VTech Giveaway!!! Can you believe the 4th of July will be here in a few short weeks?? Crazy how fast the summer is flying by! With the 4th of July coming up, what do we automatically think about-red, white, and blue, right?? How about if I told you that VTech made a pretty awesome home phone in red, white, and blue, which is available now in Target. Have I peaked your interest- if so, keep on reading to learn more. 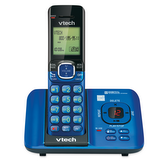 The VTech CS6529-16 is a cordless answering system phone with Caller ID/Call Waiting. I know everyone is into cell phone these days, but I actually love still using a regular phone in my home. I like to have a phone next to my bed, so I can easily pick it up to talk. I also love being able to keep regular messages stored for me on the phone. 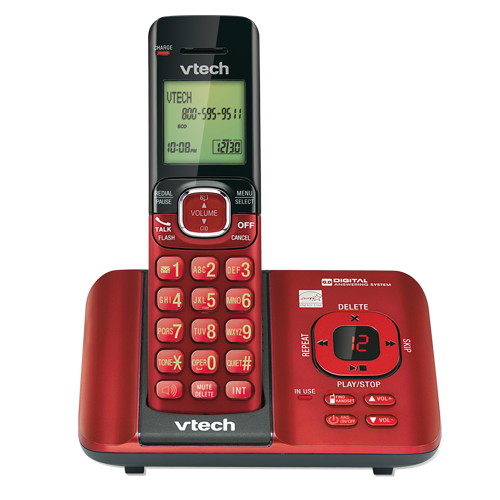 There is nothing like having a good ole’ home phone in your house and the Vtech CS6529-16 is great phone that has all the bells and whistles, all while being sold at a very reasonable price ($29.99) at Target. Here is to not having to worry about dropped calls or being uncomfortable holding a cell phone for long periods of time! The VTech CS6529-16 features a handset Speakerphone which allows one with the touch of a button, to make hands-free conversations easy. The phone also has a quiet Mode where you could silence the ringer on the handset and base unit immediately or for an extended period of time. If you are constantly worried about battery power, you can set it to ECO Mode, where power-conserving technology manages consumption for optimal battery performance. This phone has some many wonderful features available at a great price at Target. The stylish phone can spice up your holiday décor and coordinate your own celebration. GIVEAWAY: One winner will win the below prize pack, featured at over $300. This giveaway is run via rafflecopter so click more to see the actual giveaway. The only mandatory entry is to tell me what is your favorite features of the VTech cS652916 phone I have above in the comment section proceeding the post. While the other entries are optional, I highly suggest filling them out to increase your chances of winning. Good luck! US ONLY! *This giveaway is sponsored by Vtech. All my opinions are my own and not swayed by outside sources. Originally published on 2013-06-16 by Melissa at The Mommyhood Chronicles .